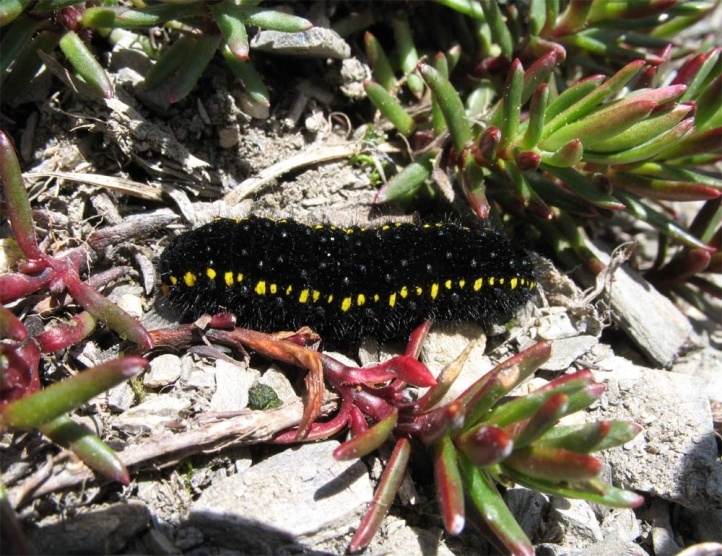 The larvae generally feed on Saxifraga aizoides. 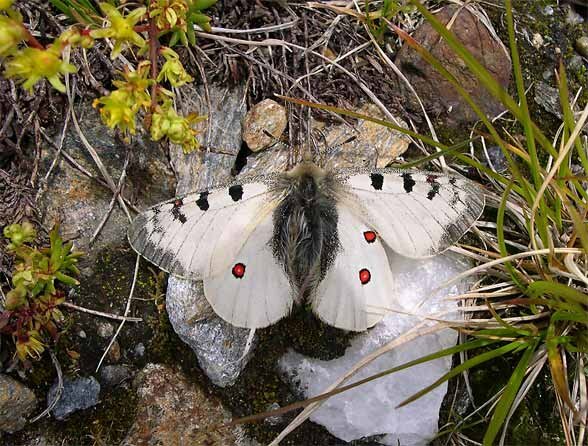 Parnassius phoebus inhabits riverine systems and melting water drains on alpine slopes in the Alps from about 1700m to 2700m above sea level. 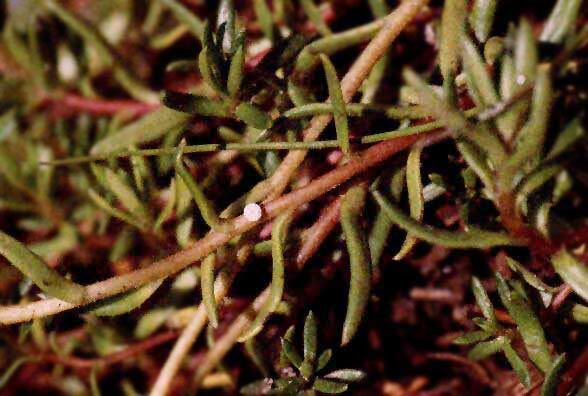 The adults often fly very limitedly around the streams and wet places that are partially bordered with taller herbs. 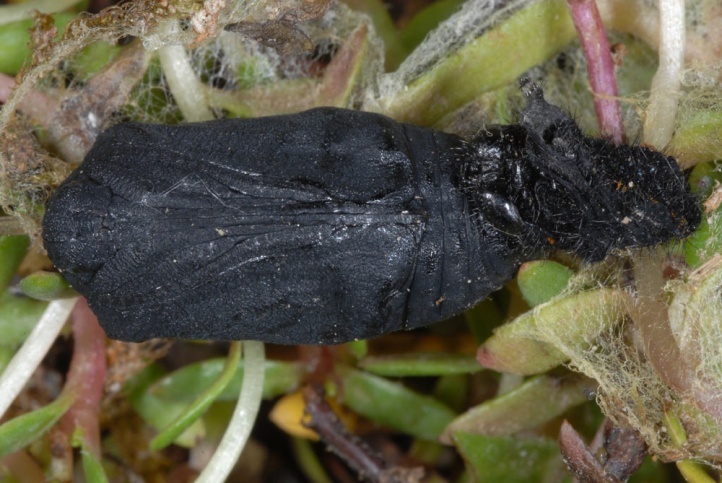 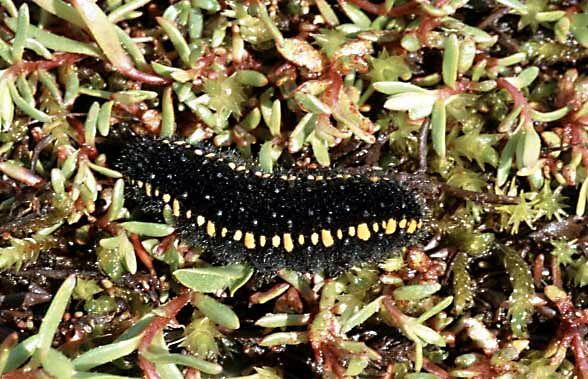 The caterpillars can be found resting on the water trickled pads of moss and host plant. 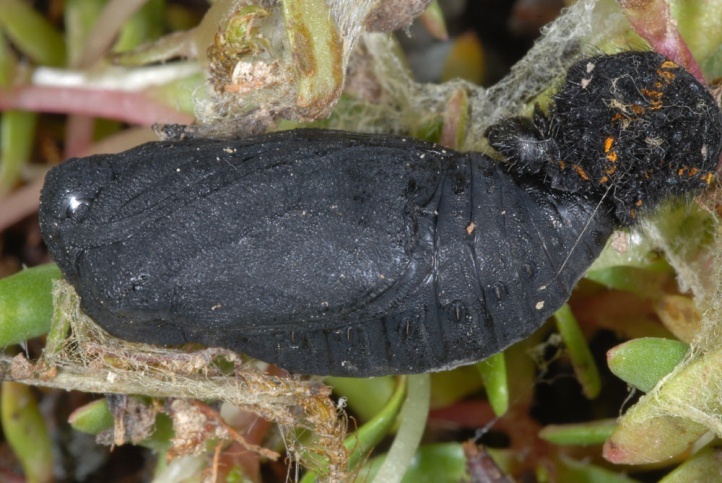 Parnassius phoebus hibernates as a caterpillar in the egg, in some regions occasionally perhaps even already outside of the egg shell. 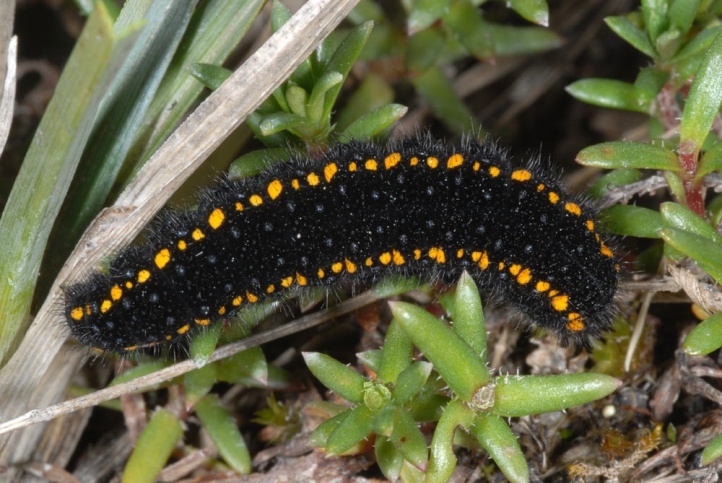 I found mature caterpillars for example in the west Austrian Silvretta area in June, and butterflies in August and even early September. 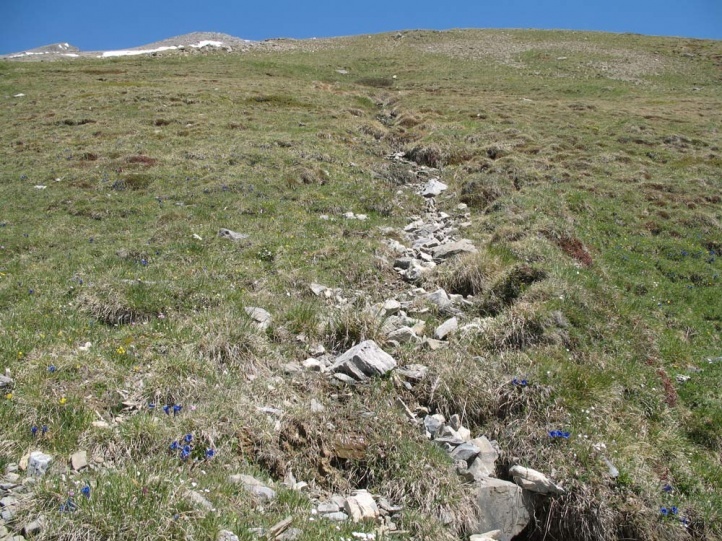 In many regions/years flight time already starts in early July (Southern French Alps) or even late June. 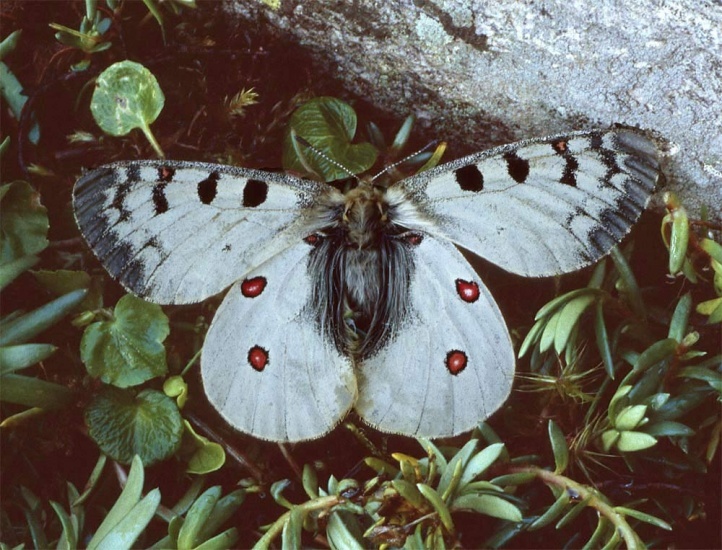 Parnassius phoebus is only partially threatened due to tourism, drainage and diversion of alpine rivers in order to generate electricity and overgrazing. 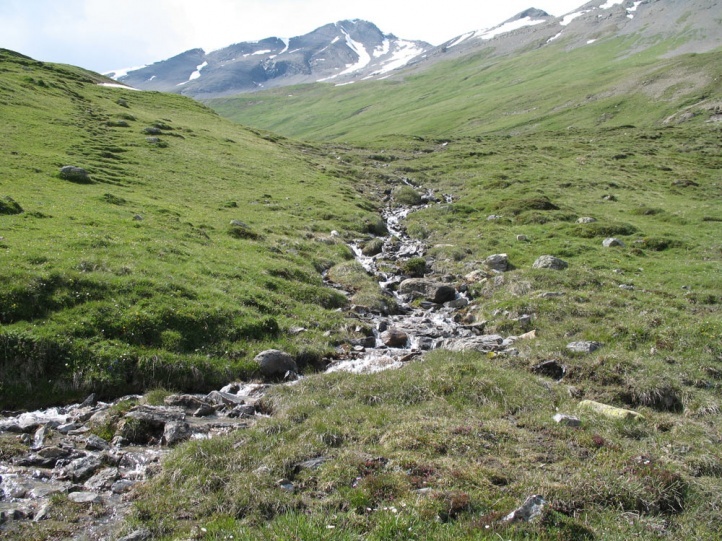 Skiing is one of the most environmentally damaging pastimes, even if many people are economically dependent. 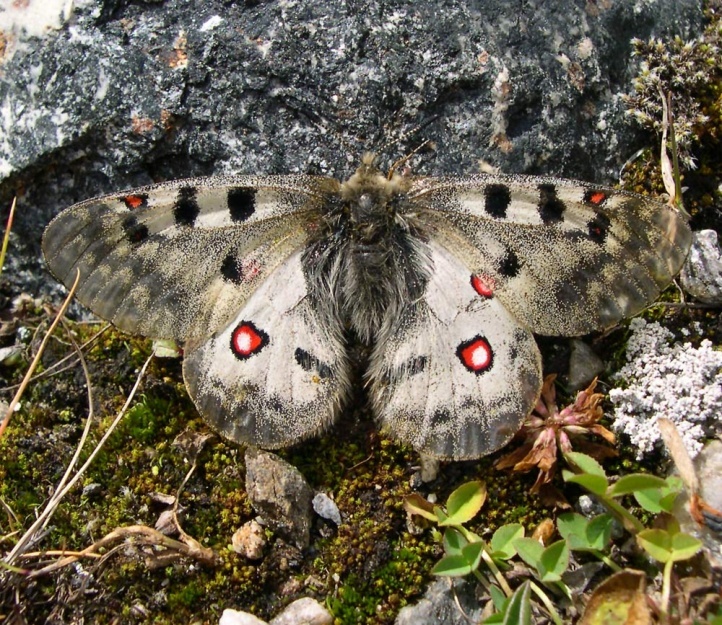 Parnassius phoebus occurs in the higher altitudes of the Alps. 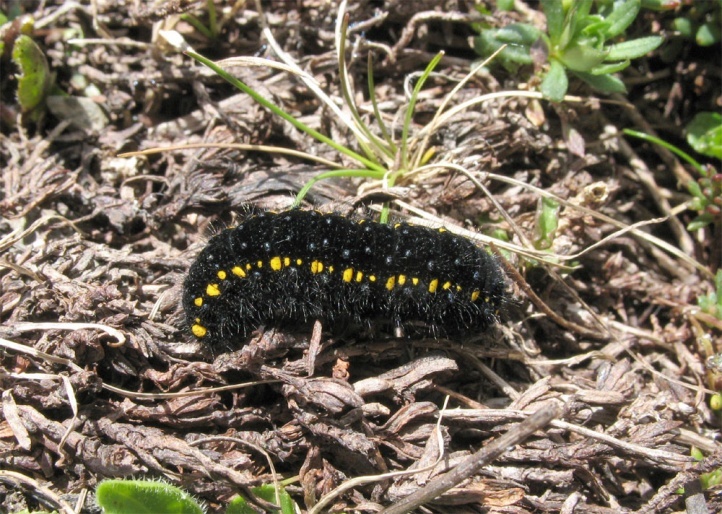 In Germany only occasionally vagrant individuals are observed in the most southerly west Bavarian Alps (from neighbouring Austria). 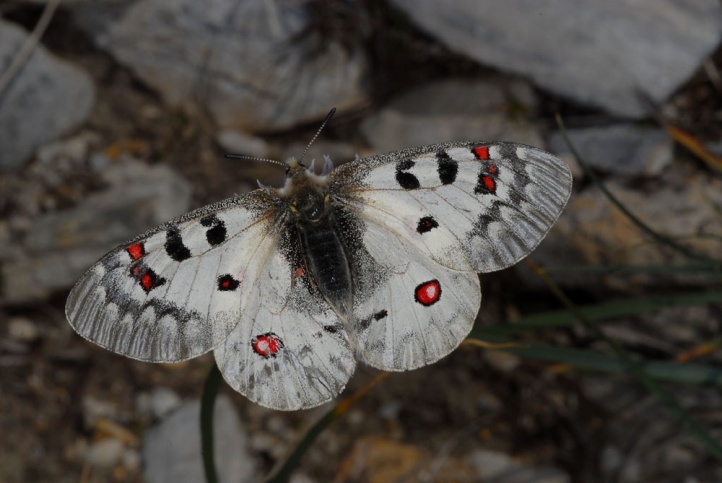 On the other hand Parnassius phoebus is quite widely distributed in the Central and Southern Alps. 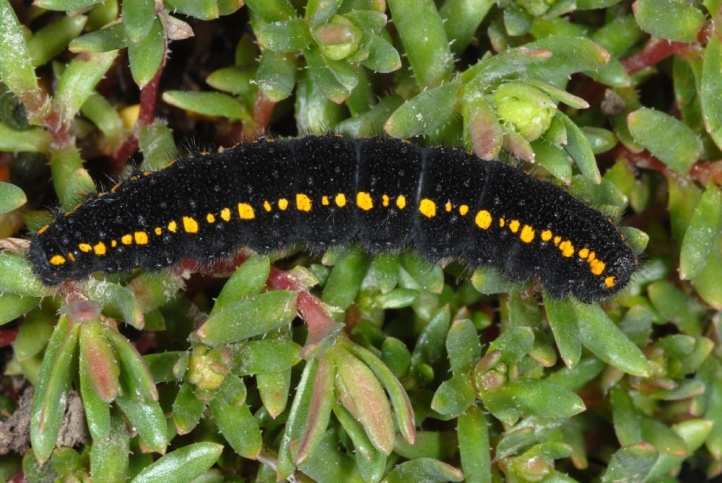 In addition Parnassius phoebus is found in the Urals and some East Asian and North American mountains. 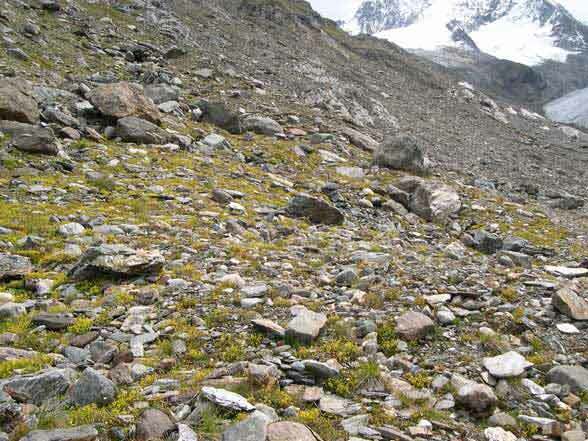 In modern literature the populations of the Alps (ssp. 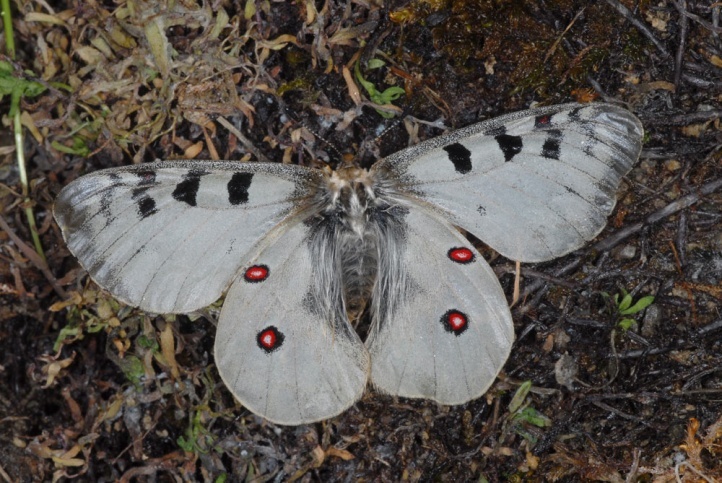 sacerdos) are often given ful species rank: Parnassius sacerdos (Stichel, 1906).